Inspired by Frank Lloyd Wright's Dana Thomas House, located in Springfield, IL. The butterfly design is found in the stain glass windows of the front entrance. This contemporary pin appeals to those who love art, nature, and architecture. 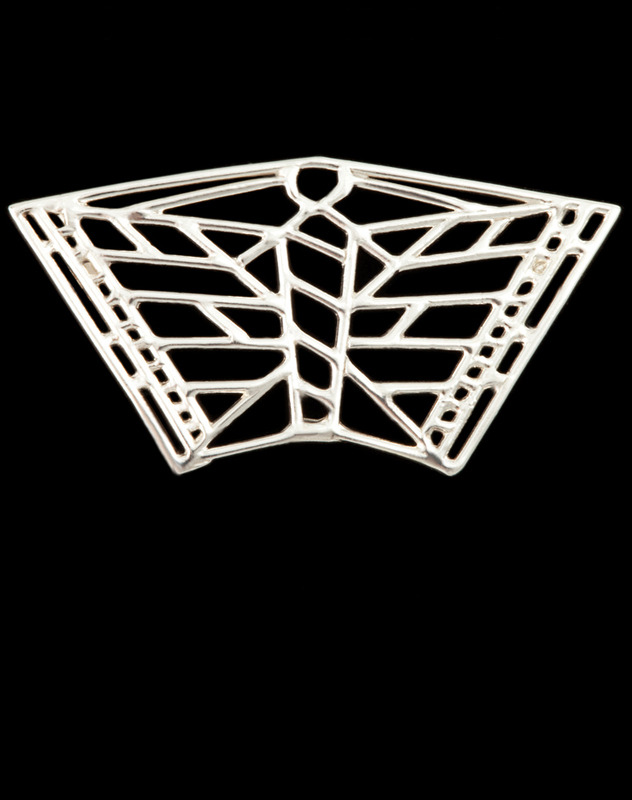 Image shown in sterling silver. Available in 14 kt yellow gold.